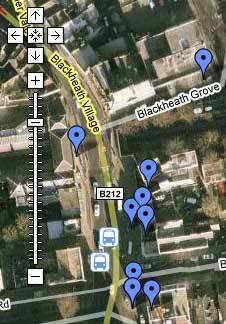 The Hare and Billet Ghost – a woman in Victorian dress with a bonnet and no face supposedly haunts the bit right outside the pub on Blackheath, just standing there, looking like she’s waiting for a bus. She was supposed to run away with her lover, but hung herself from the elm trees near the pond after realising she’d been jilted. Two of my friends claim to have seen her last November while out jogging, without knowing of her existence. They Googled her and found out the last reported sighting was also in November back in the 70s. The clouds over Blackheath are often really nice – I don’t know if it’s because we are so high up above London – it always seems windier on the heath than in the village? I wanted to find a way to capture them on screen, and eventually found one. It is free, and all you have to do is set it up, then point your webcam at the sky, and leave it capturing for a couple of hours. The video above was made on my ancient Mac, using GCam… It’s very simple, and works like a dream :) Check out the plane shooting past at 2:04. The video below was made using an application called HSSVSS, which isn’t a very catchy name. It’s designed for people who want to run a home security system on their PC (it is windows only). The website is ugly, and the app is a little confusing in places, but it does the job – and you can’t argue with the price. If only I had a better camera, I’d try to film some UFOs, but I don’t think the £10 webcam from Argos is really cut out for it… Maybe I’ll point it at the trees, and wait for Spring Heeled Jack to appear. 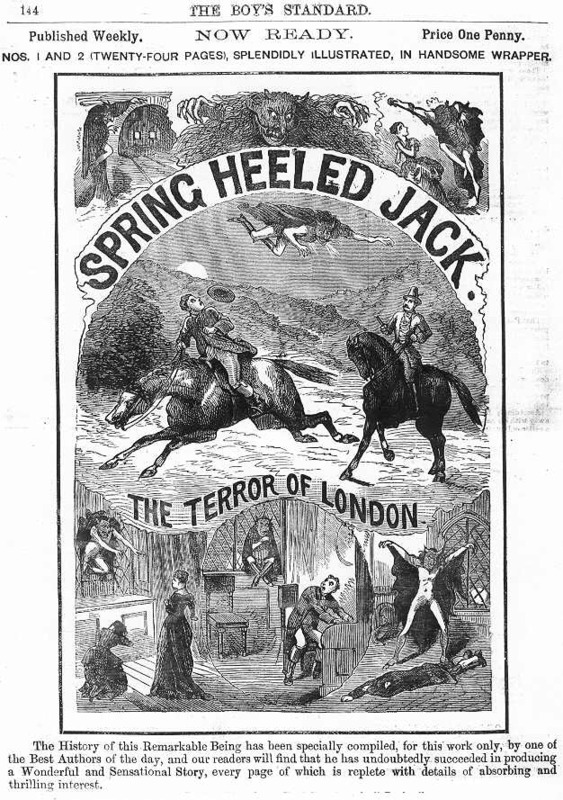 Before Jack the Ripper terrorising Blackheath, there was Spring Heeled Jack. Part bogeyman used to scare small children, part mysterious criminal. He was popularised in Penny Dreadfuls – cheap serialised booklets, where he was depicted almost as a comic book anti-hero. Wonderful name, Penny Dreadfuls… I wonder what the modern online equivalent is? He was also the first of his kind. 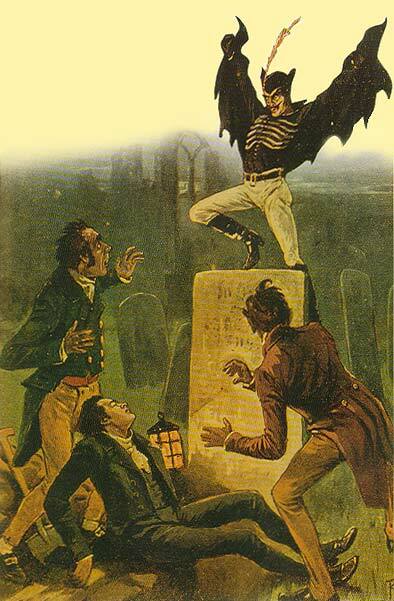 While legends of strange phantoms have existed since the beginning of history, Spring Heeled Jack was the first to enter the official record as a real phenomenon, or at least as one whose witnesses could be found and would testify to the veracity of their experience. Part of this may have been due to the changing culture of the early nineteenth century, and the rise of mass printing technology, the first newspapers were largely responsible for the general publics awareness of the events, but there was also something unique about him. 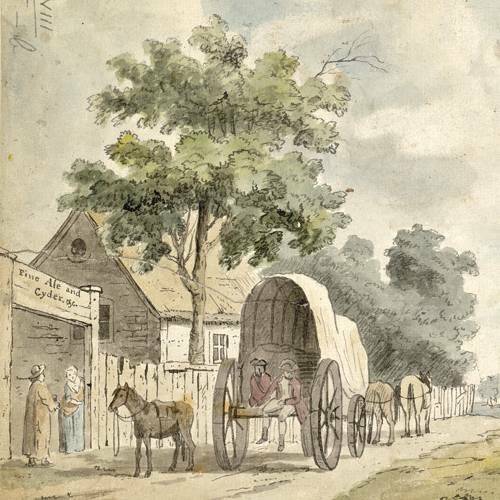 There were other similar changes at the time too, for instance the first identifiable witnesses to the infamous ‘phantom horse and carriage’ and the classic ‘haunted mansion’ also date to the early nineteenth century, perhaps for similar reasons, and even the aforementioned Bigfoot was first spotted in Canada in the mid 1830’s according to some researchers, but none captured the public imagination as Jack did. He can in many ways be regarded as Britain’s patron saint of weirdness. Now, my much more appealing alternate theory. In the 1830s, the Marquis of Waterford developed a top secret version of what is now known as Power-Bocking. Rather than selling them to the public, and making his fortune, he decided to terrorise young maidens by leaping out at them instead. Just look at the video below, and imagine one of these heading straight for you as you wandered over the Heath in the dark… Eeek! Top image is from from Wilson’s Almanac. Lower image from Wikipedia. 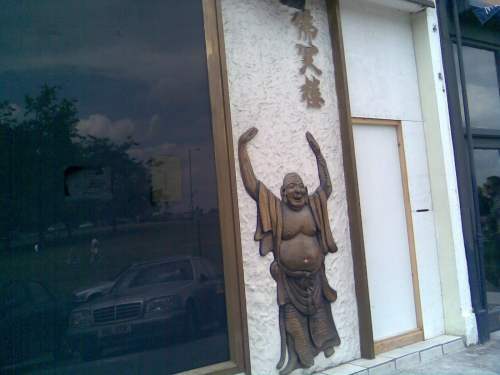 It looks as though The Laughing Buddha has finally stopped laughing. The Chinese restaurant, which is next to Chapter Two seems to be closed. The sign says for refurbishment works, but I’m not sure. It seems like a bit of a coincidence that both places are shutting up shop at the same time… Maybe Chapter Two are expanding into the Buddha’s space? I hope it isn’t closing, as I never even got a chance to go in there – I’d always intended to but never quite had the right moment. You can’t fail to have seen the “Star Over London” helium blimp floating around the last couple of days. It’s quite a sight as it soars over Greenwich Park. I wish they’d make it a permanent feature (but perhaps without the Wife Beater logos on the side). Tickets are a rather steep £185 – £360, depending on the length of your flight, and can be booked here. Perhaps Boris will decide to subsidise it, and we’ll all be able to commute to work in a flock of TfL airships using our oyster cards? Youtube video from The Londonist. Saw this post about Greenwich’s changing skyline in The Greenwich Phantom, and couldn’t resist doing another morph. It didn’t work out as well as the previous one, but still gives as nice idea of how things are changing, I think. 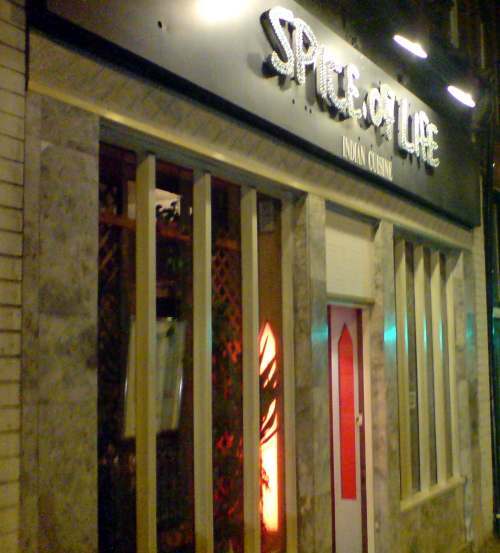 So, much like The Dacre Arms, The Spice of Life is a lovely place, just outside Blackheath. I had to investigate, after seeing so many positive comments about the place, on this blog, and on loads of other web sites. Comments along the lines of “this is my favourite Indian restaurant, I’ve been going there for fifteen years, etc etc”. So off we went on Thursday evening. And it wasn’t empty, but it was quiet. It was smaller than I expected, but very welcoming and friendly looking.. To be honest, the decor looked as though it hadn’t changed since the mid eighties, (which matched the music nicely). But who cares, because the food was absolutely first rate. Delicious and light, not too fiery, a really nice blend of flavours. We’re not meat eaters, so can’t comment on that, but the saag paneer, and vegetable dopiaza were lovely, along with some pilau rice, a chipati, and some yoghurt. Great stuff. They also had a very mysterious looking orange sauce with the poppadoms. When we asked, we were told that it was the chef’s own invention, and that it was based on carrots. And the whole lot came to £25.60 including drinks for two people. The only downside is that they don’t deliver (but you can pick up a take-away).